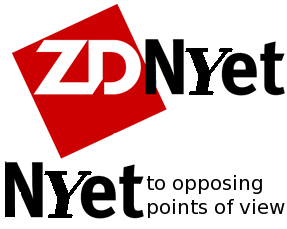 Has Microsoft Irreversibly Taken Over ZDNet (CBS) to Disseminate Its Lies? One has to be naive to genuinely believe that the corporate press has no bias because bias is built into it; it is the business model. When it comes to companies like Apple, for instance, Apple can pay a lot of money for favourable coverage to sites like CNET through the parent company, CBS (the payments are bade through ad contracts), which also owns ZDNet now. What this tends to lead to is the hiring of people more friendly to companies that advertise with the network (both Apple and Microsoft do that aplenty) and firing (or cultural driving out) of ‘misfits’. We gave examples before. –Michelle Bradley, MicrosoftNot so long ago we showed Microsoft advertising creeping into editorial sections/structure of ZDNet. there is also an increasing number of former and present Microsoft staff there, acting as “journalists” (syndicated in news feeds) whose bias reeks. Zack Whittaker, former Microsoft UK staff, uses this tech tabloid to spin Microsoft antitrust cases and this month he used this CBS-owned tabloid to spread Microsoft lies about Vista 8 ‘sales’. These are lies. It’s like libel but in reverse, lying for a company rather than against it (hence it’s unlikely that a formal complaint will be raised). The spinner takes the lie as a given, spreads it, and then attempts to shift attention to another topic in his headline. Disgusting. Some more Google bashing in this tech tabloid comes from Microsoft staff (link) and the Microsoft-bribed Bott (peripheral PR), who encourages us to go to Microsoft for our Fog Computing needs (Bott plays a special role for Microsoft along with Mary Jo Foley and Microsoft Jack). Here is the link to the ad (Ed). Others in the site have a mixed history with Microsoft; some try to announce the death of form factors where Microsoft could never make headway (link), but the bottom line is, ZDNet has a disproportional amount of Microsoft coverage (promotional), which is not surprising given that even Microsoft staff, not just peripheral unofficial staff or former staff, works there under the banner of ‘journalism’. When did Microsoft PR agencies infiltrate the media to that high a degree? And how, except boycotting CBS sites, can one counter this? There were times when corporations were leaning on journalists to print stuff. Now the corporations are journalists. No doubt about it, it is convenient for Microsoft. Even antitrust cases are covered in the press by its former employees (in CNET also, but that’s a subject for another day). ‘The author of the email, posted on ZDNet in a Talkback forum on the Microsoft antitrust trial, claimed her name was Michelle Bradley and that she had “retired” from Microsoft last week. ‘”A verbal memo [no email allowed] was passed around the MS campus encouraging MS employee’s to post to ZDNet articles like this one,” the email said.